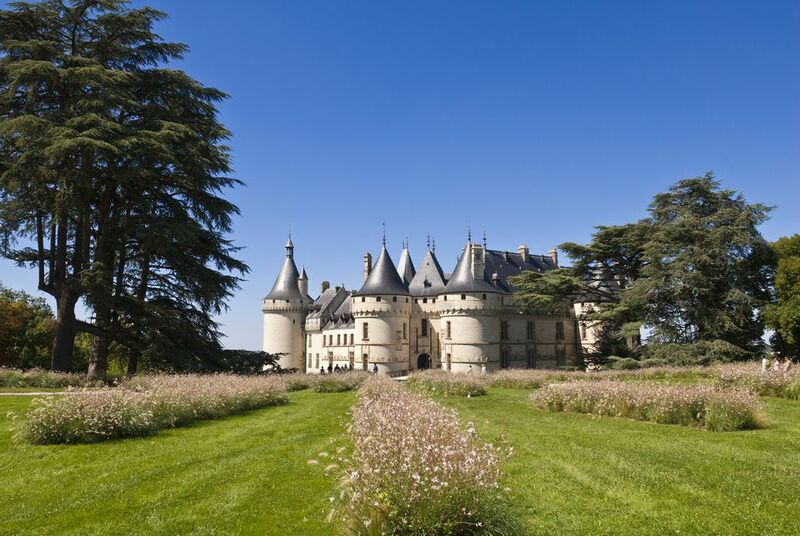 The châteaux along the mighty Loire River are the main reason people visit the area. But there are many other attractions and things to do here. So yes, visit the châteaux that bring back the past in all its gorgeous and grisly glory, but go off the beaten track with these suggestions and discover some surprises. This tour is designed to be flexible so you can decide where to stay and for how long. It starts in Tours, goes to Amboise for a look at the mansion of Leonardo da Vince then goes south down to the Cher river and Montrichard. The itinerary then takes you to Bourré to visit the troglodyte caves now put to good modern use. From here the tour goes back north to the Loire River and to the lovely château of Chaumont-sur-Loire. Spend the night in a smaller château bed and breakfast before taking a balloon trip above the valley. Then it's on to Blois for the last stop. Tours is the main town of the Loire Valley. The lively cathedral city stands between the Loire and Cher rivers. There's an old quarter, plus good museums and restaurants. It also makes a great center if you're visiting the châteaux of Langeais, Villandry (which has a spectacular garden), and Azay-le-Rideau. Tours is easy to get to from Paris by train (1 hour 12 minutes on the TGV Express train) and by car (around 2 hours 30 minutes). But once here you will need a car for this tour. There are good hotels in and around Tours so spend a night here. 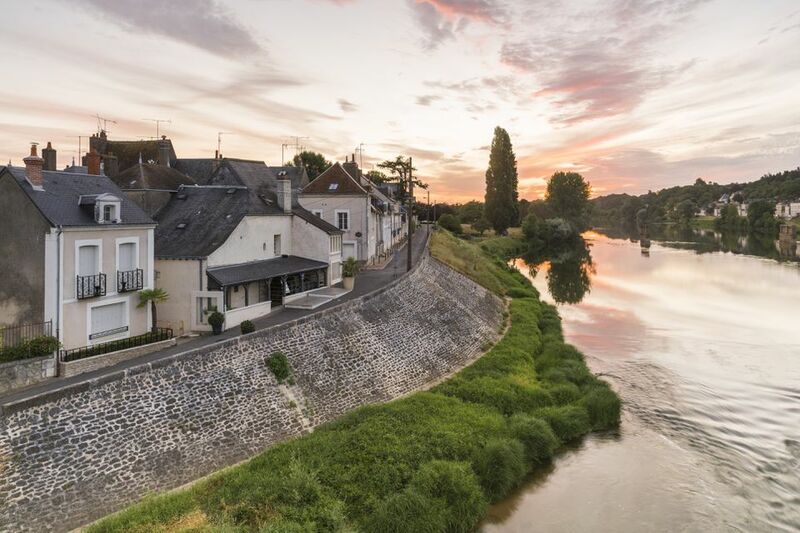 From Tours, take the D751 to Amboise, a mere 25 kilometers (15 miles) and a half-hour drive to this lovely town on the banks of the Loire which has everything: a magnificent château and good restaurants, cafes and bars. What you must see is the Manoir du Clos Lucé, the house where the great Italian Renaissance artist Leonardo da Vinci lived out his last days from 1516 to 1519. The house is delightful; the displays of 40 of the machines that da Vinci invented astonishing, and the gardens offer a rare sense of peace and tranquillity in the often crowded Loire Valley. Remain in the gracious past and stay at Le Vieux Logis just a 15-minute stroll from Clos Lucé. The 18th-century mansion has been turned into an upmarket bed and breakfast by an American couple who know what guests need to be comfortable. There’s a delightful garden and you take breakfast in the iron and glass conservatory. From Amboise, take the D61 southeast through Amboise forest down to the Cher river valley. Montrichard is a charming small market town (market days are Friday and Sunday), with a ruined hilltop castle and a Romanesque church where Jeanne de Valois married Louis, Duc d’Orleans in great pomp. But the story does not go well. The Duc unexpectedly became King on the death of Charles VIII at Amboise (who hit his head on a stone lintel) in 1498. Jeanne was disabled and apparently sterile so Louis forced a divorce through, and Jeanne retired to Bourges where she died in 1505. Cheer yourself up with a visit to the Caves Monmousseau, 71 rue de Vierzon, a winery standing high above the Cher River looking out over the Valley of the Kings. The cellars are located in one of the many caves that dot the landscape, originally troglodyte dwellings, and now creatively used by local businesses. Monmousseau makes the sparkling Crémont de Loire here, but before you get to the process of producing the wine, you walk along passages lit by brilliant flickering, colored lights projected onto the walls created by the artist, Yvonnick. The caves are enormous and you’re rewarded with a good wine tasting at the end. From Montrichard take the D176 to Bourré where troglodyte caves pierce the landscape like a piece of cheese. The caves have proved useful; some becoming quarries digging out the white stone many of the châteaux are built of; others used to produce mushrooms. If you want to see how mushrooms are grown at 50 meters underground, visit the Caves des Roches (40 route des Roches, 0033 (0)2 54 32 95 33). It’s a strange tour through a very small section of the 120 kilometers of galleries where different varieties are cultivated according to an age-old tradition. Then visit the shop for all kinds of fresh and dried mushrooms, soups, patés, and more. From Bourré it’s a short drive north on the D62 to Chaumont-sur-Loire. The Château de Chaumont is somewhere to visit but its main claim to fame is the annual International Garden Festival which runs from Easter to the end of October. The grand building overlooking the Loire hides a turbulent past. Catherine de Medicis, the widow of King Henri II acquired the château in 1560 from Diane de Poitiers, Henri’s beautiful mistress who owned stunning Renaissance Chenonceau, known for its lovely arches spanning the river. When her lover died, Diane didn’t stand a chance and was forced to exchange Chenonceau (which both women preferred) for Chaumont. Stay the night at the Château de Tertres. The decor is traditional - as is right for this 19th-century grand house set in its own park. It’s run as a bed and breakfast so there’s no restaurant, but Onzain is a few minutes away and you get the pleasure of taking breakfast on the terrace. It's located at 11 Rue de Meuves, 41150 Onzain. Take a hot air balloon ride over the countryside for a spectacular bird’s eye view of the river and its lovely castles. The balloons are large, taking passengers up, up into the skies where you look silently down at the world below. You take off either early morning or late afternoon start off in Onzain… but can’t be quite sure where you will land. This being the 21st century there is communication with earth, so the vehicles will be wherever you are to take you back to base. Aérocom Montgolfière is located at 36 route de Couzy, 41150 Onzain. Blois is a bustling lively town; its splendid château looking down at the more modest houses and streets below. Walk into the courtyard and you’re looking at four different styles of architecture over four centuries. Visit the château while there’s a performance or a jousting match during the summer. And book for the nightly summer sound-and-light show where the darker side of the history of Blois – a tale of betrayal and murder – comes alive in flickering scenes dancing across the façades.